Multiple national surveys point to the disturbing abuse of prescription (Rx) and over-the-counter (OTC) medicines, like OTC cough medicine, among today's teens. Four percent of teens in grades 8, 10, and 12 admit to having abused cough medicine containing dextromethorphan, or DXM, to get high in the past year. Roughly one in three high school teens say they know someone who has abused cough medicine. 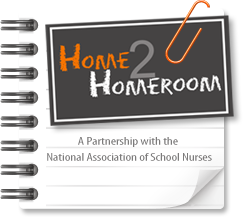 The National Association of School Nurses partners with the Consumer Healthcare Products Association to provide school nurses and parents with tools to help address teen medicine abuse. School nurse materials are indexed below. For more information on OTC cough medicine abuse, go to StopMedicineAbuse.org. Page last updated April 2014.